For The Village has received many requests for a postpartum support group for black mothers in San Diego and we are happy to say we are making it happen! 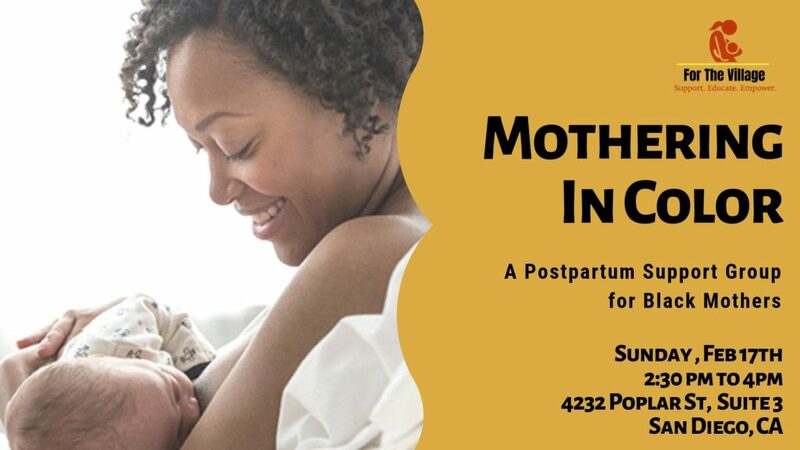 This postpartum support group is a safe space for black mothers to express themselves, share their experiences and build community. We can’t wait to connect with all of you!